We are amongst the most reputed names in the industry, offering Pea Flour. We are amongst the most reputed names in the industry, offering Peas Flour. 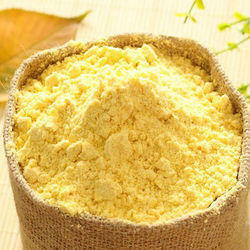 - Namaste Peas Flour is rich in carbohydrates and widely used for Pakodas, Farsan, Papdi etc. We offer Peas Dal Flour. This is negotiable price, depends upon the quantity. 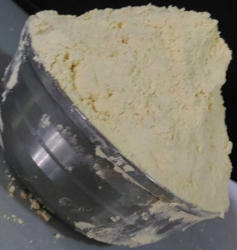 In order to meet excellent quality standards, we are supplying Pea Flour. Trying to understand the demand of our customers in a precise manner , we are offering an extensive collection of ( canadian white peas ) matar flour . Kenox Agro Industries Pvt. Ltd.
Ahaar Green Pea Flour is made from the finest quality whole green peas, carefully stone ground on our century-old stone-buhr millstones. It is gluten free, a good source of fiber, and makes an excellent addition to soups, sauces, dips and baked goods. Ahaar Consumer Products Pvt Ltd.
We are manufacturing and supplying high quality Peas Flour to our valuable customers in Tamilnadu, Kerala & Andrapradesh. Presently we are offering Rs.38/- per kg inclusive delivery charges within Tamilnadu. The avialable packing are 10 kgs, 25 kgs & 30 kgs.